Corn is in full bloom right now at the farmer’s market, and I don’t know about you, but I love corn. 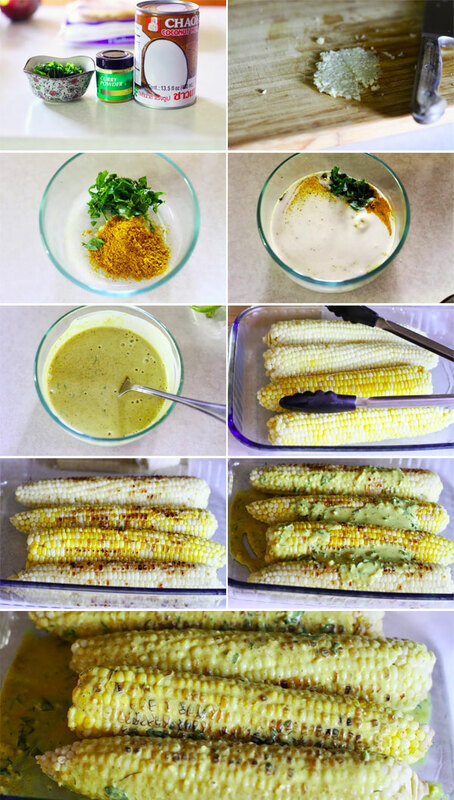 The white corn, or bi-colored corn is super tender, and oh so sweet right now that you almost want to just eat it right off of the cob. I’ve been buying about eight ears of corn every Saturday morning, and cooking it up for lunch. Yes, corn for lunch. I thought it would not get any better than my favorite Mexican elotes, or Mexican corn if you will, or a simple pad of butter and salt, but let me tell you, it gets better! As my wife and I were watching some television, she called out and said you should really try making that! Making what you ask? Well it was some show on the tube where they were selling curried corn. I had no idea what the recipe had in store, but I’ve made enough coconut curry in my lifetime where I could quickly adapt that to some corn on the cob. By the way, my wife rarely calls out anything from the television to have me try to make, so I knew I had to impress. Let’s get started. This recipe is super simple to make, and only takes about thirty minutes or so. Start by steaming your corn until tender. Mix the coconut milk, salt, garlic, and parsley to form your sauce. Grill your steamed corn for a nice, charred exterior. I like that as it brings out some of the caramelization, and texture to the corn. 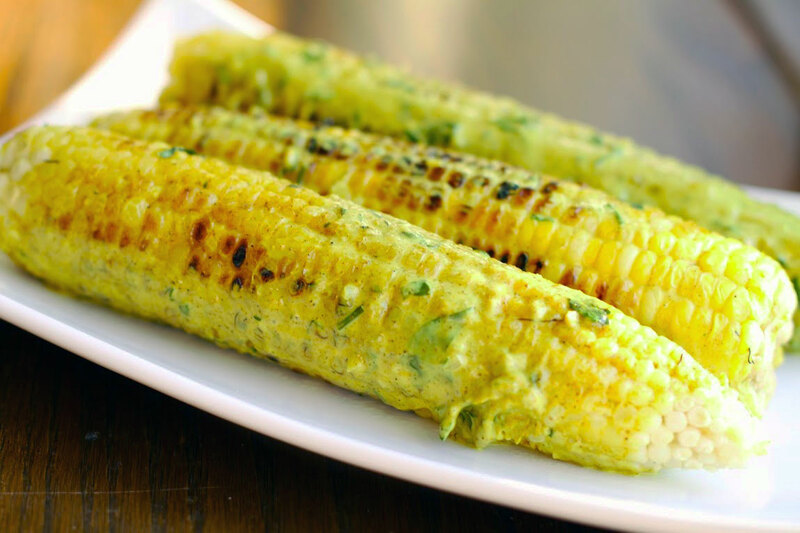 Once your corn is lightly charred, remove from the grill and place the corn in a baking pan. Pour the sauce over the corn and turn to coat. Bake in a 350 degree oven, uncovered, for 10 minutes. The corn will absorb all of the sauce and have a huge impact in terms of flavor. First bite we both knew how awesome this corn was going to be. It was creamy and sweet, with just a bit of that amazing flavor from the curry that really makes this corn on the corn shine. If you are looking for something different to make, and something really flavorful and delicious, then give this curry and coconut corn on the cob a try. I hope you enjoy! My husband & I so enjoyed this today. Thank you so much for sharing! That’s great Tammi! Glad you enjoyed.